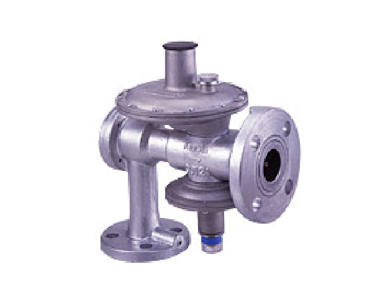 Compact and lightweight governor with built-in shut-off valve, relief valve, and filter. Adoption of balance diaphragm enables stable pressure regulation. A type without a shut-off valve or relief valve can be produced. Reduced primary pressure moves the valve to opening direction.